No one wants to be caught in a helpless emergency situation, especially not an expatriate who has just moved to a beautiful but still unfamiliar territory like Argentina. When facing a crisis in Argentina, quick wit and calmness can be beneficial, but an emergency is best managed if you have emergency phone numbers handy. Medical emergencies are the most common and the most likely situation for which one would need urgent assistance. Expats should note that 107 is the general emergency number for immediate health or medical help. Ambulance services can also be acquired by dialing this number. Another scary situation you wouldn't want to be caught in is a fire. It would help to have the Fire Department's number handy or better yet memorized. The three digit dial you have to make in this kind of emergency would be 100. 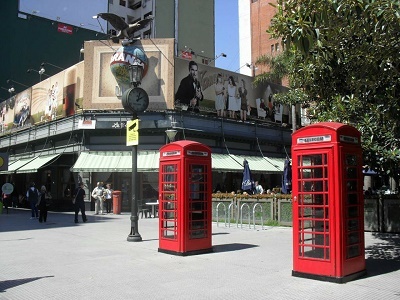 For an expat in his or her first few weeks in Argentina, one tends to feel like a tourist. And more often than not, expats find that they are often treated like one. In any situation that one may encounter where non-emergency police may be required, you may call these numbers for the Tourist Police: (011) 4346-5748 / 0800-999-5000. Police assistance is something that you may not hope to need, but it is always best to be prepared. Although Argentina is a safe place, it's far from being free of crime. The general number for the Argentine Police Department is 101. You can dial 911 if you are in Buenos Aires. Sure, the most important must-haves will always be the essential travel documents, such as passports, visas, work permits and such. But for newly relocated expatriates in Argentina, a list of these emergency numbers on hand is just as significant.